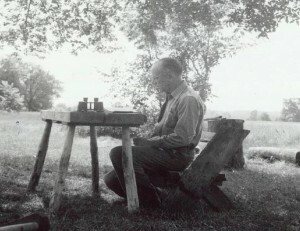 The Leopold Education Project (LEP) is an innovative, interdisciplinary conservation and environmental education curriculum based on essays from A Sand County Almanac, written by renowned conservationist, Aldo Leopold. 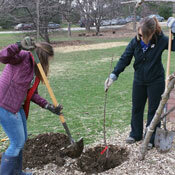 LEP teaches students and adults about humanity’s ties to the natural environment in an effort to conserve and protect the earth’s natural resources. The workshop will provide lesson plans and techniques used to carry out Leopold’s vision. Our newly revised curriculum uses hands-on and critical thinking activities to teach students about nature and conservation and to instill what Leopold called a “land ethic”, an appreciation of and respect for the land. Please note, this workshop will be held at the Aldo Leopold Foundation in Baraboo. It is appropriate for anyone who is interested in learning more about fostering a relationship between our youth and the natural world– teachers, parents, scout leaders, naturalists, park rangers, zoo educators, youth group leaders, and private citizens.